While everyone wants to be fitter and healthier, having enough discipline to reach your goals can be challenging. Rather than attempting 10,000 steps each and every day or trying to change your entire diet, perhaps there's a faster way to get healthy without disrupting your daily life. From high intensity interval training (HIIT) through to intermittent fasting (IF), the new paradigm is based on dynamic changes that stretch important cellular repair processes and imitate natural cycles. As old health and fitness paradigms crumble around us, people are looking into clever new ways to reach their goals without changing their lifestyle. Whether it's working out in short bursts a few times a week or eating less on the weekends, there's lots of things you can do to make a difference. Rather than long walks in the park or meal size reduction plans, people are learning to make dynamic lifestyle changes that combine high and low intensity workouts with calorie intake cycles. By creating an environment of feast and famine, we can influence how our bodies regulate hormones, express genes, and repair cells. Despite its fancy name, HIIT is a simple and very powerful way to reach your fitness goals fast. Instead of trying to jog for an hour each day or incorporate 10,000 steps into your regular routine, HIIT is based on a short series of intense exercises followed by slower recovery periods. While a workout can be done in just a few minutes, the benefits far outweigh the time investment. According to a study by Stephen H. Boutcher at the University of New South Wales, HIIT can outperform traditional cardio when it comes to fat loss, and has noticeable effects hours after exercise has been completed. While HIIT can be challenging, especially for people who are not used to exercising, people start to see results much faster and are able to reach their goals much quicker. With less of a time lag between effort and results, people are less likely to give up and return to their old unhealthy ways. 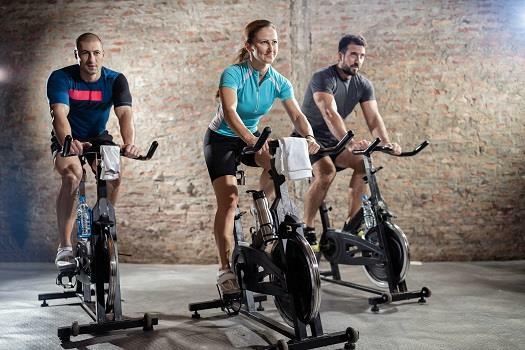 While a lot of HIIT programs are based around fancy exercise bikes or loud classes with lots of shouting, you can do HIIT workouts alone with nothing more than a pair or running shoes and ten minutes of spare time. Intermittent fasting (IF) has also become incredibly popular in recent years, with this new way of dieting sharing a number of similarities with HIIT. Rather than aiming to restrict your calorie intake all the time, people are getting better results by engaging with an eating pattern that cycles between normal eating and fasting. Whether it's missing one meal on a regular basis, not eating after dark two days a week, or following a strict diet for two days each week, there are lots of variations on the IF method. Instead of attempting to make incremental changes over a long period of time, the new way of getting fit and healthy attempts to make changes much faster through dynamic movements which mirror natural cycles. Just as our ancestors would have been involved in short periods of intense exercise while hunting, and missed meals during times of scarcity, HIIT and IF attempt to create an environment of feast and famine by stretching our bodies' natural responses. While you still have to put in the work, it may be easier to reach your health and fitness goals than you first thought.